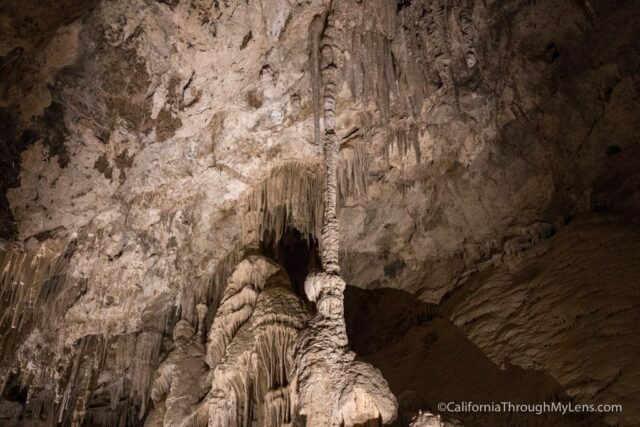 The Mitchell Caverns in Providence State Park are one of the only show caves in Southern California. 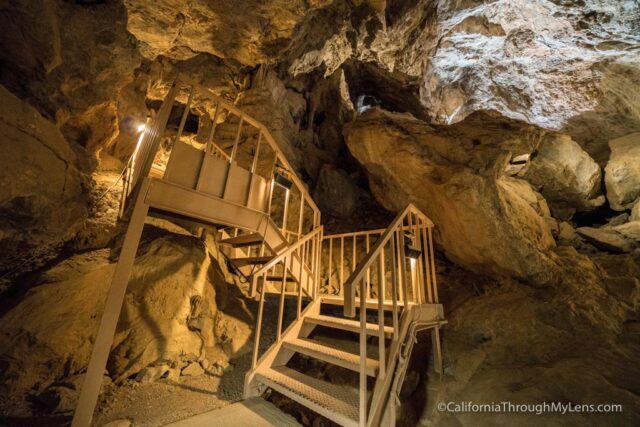 They finally reopened after being closed for over five years, and if you haven’t explored them, do it now. 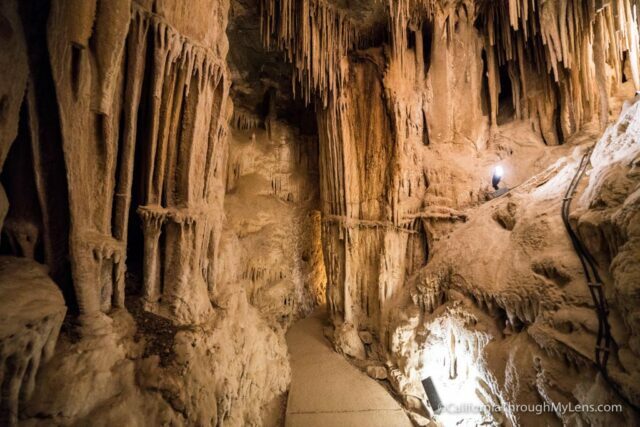 The caves are only accessible via a guided tour that happens two days a week and is hard to book, but it consists of 1.5 – 2 hours of exploring the caves and learning about the area’s history. Here is all the information. Must call to get on a tour, they told me you could only call on Mondays currently. More information here. 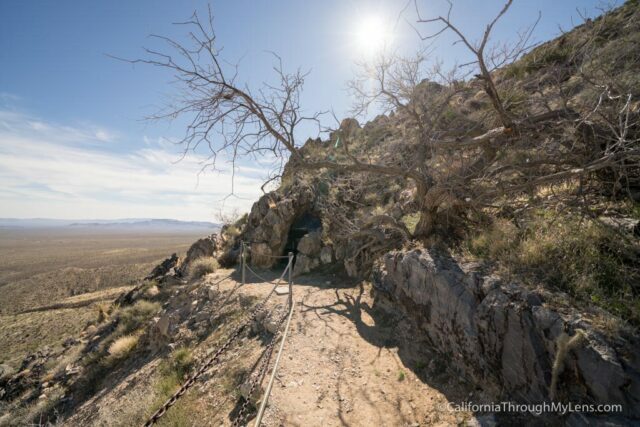 From Southern California, it is a long drive to get out to Mitchell Caverns, and I would recommend you consider spending the night at Hole in the Wall Campground or something so you can make the most of your time. 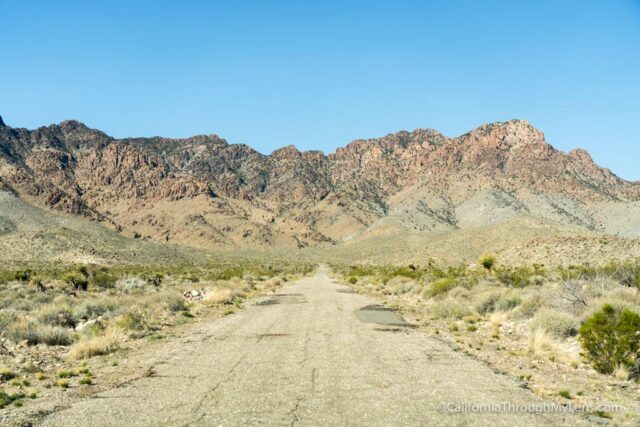 Take the 15 North to Barstow then head East on the 40 Freeway. It’s about an hour and a half from Barstow with no gas or food so get what you need before leaving Barstow. 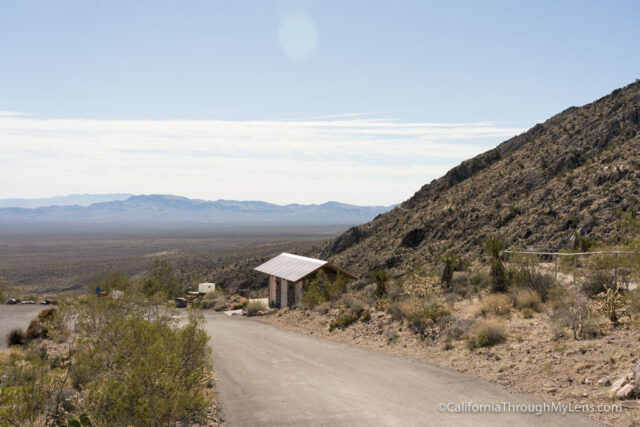 When you get to Essex Rd, you will get off and head north into Mojave National Preserve. Follow signs to the caverns and park in the lot. Here is a video I made while explore the caves. Since it is so far away, we ended up getting there about 40 minutes early. 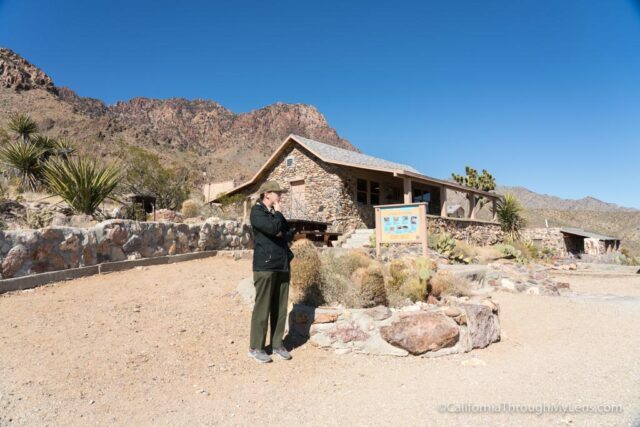 We took the time to explore the small visitors center they have, as well as walked around on the short trail to see cactus and a few historical plaques. There are two bathrooms here as well. When it was time for the tour to start, they gathered up the 15 of us and started by telling us the history of the area and the Mitchell’s who ran the cave. 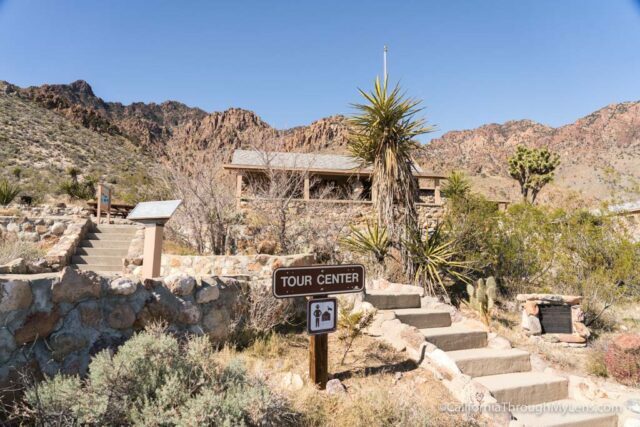 The short history is that the Mitchells moved out here in 1934 and they ran the caves as a desert resort and Route 66 attraction for 20 years. Jack built all of the stone buildings here and gave cave tours himself. 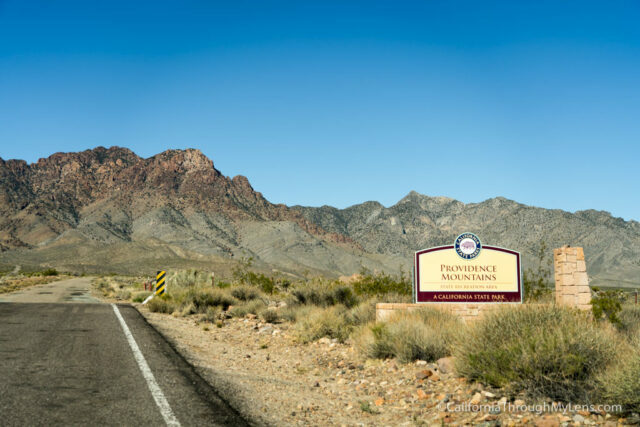 He also developed the road that got here from Route 66, which was 22 miles. They left in 1954 when they were both in their 70’s, and that is when it was sold to the state parks system. 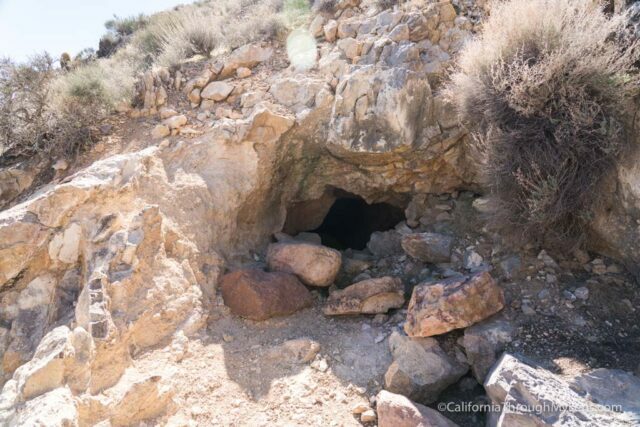 After learning this history, we headed out on the trail for about a third of a mile hike to where the cave is. 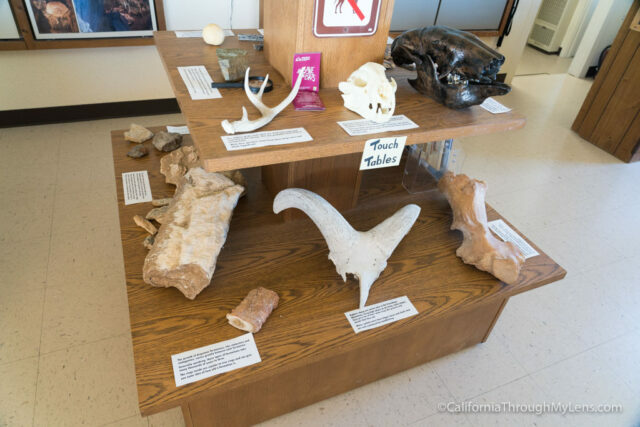 Along the way, we stopped multiple times to learn about the plant and animal life as well as the gold mines that were here. Lots of the plants and animals in this area are only found in this location and not anywhere else in the world. It is called a sky island. When you round the bend and see the two eyes which are the entrance to the cave, it is a pretty cool sight. 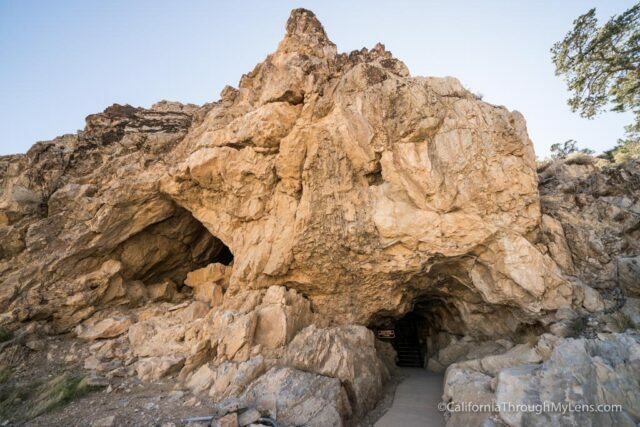 After crossing the small bridge, you will be walking up a hill and will then reach the cave entrance. From here the tour gets incredible and you spend the next 45 minutes or so in the cave. 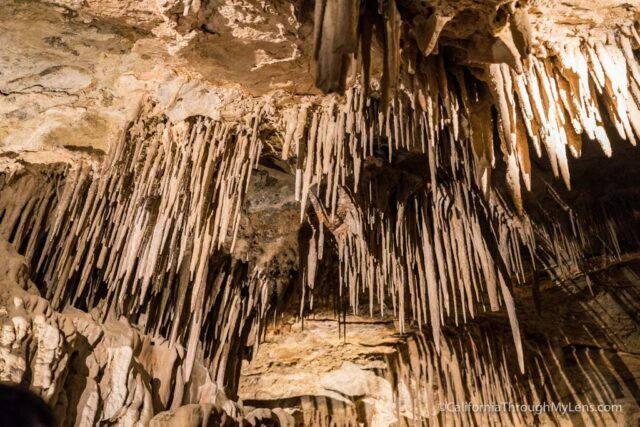 The formations here are mind-blowing, featuring a column, which is a connected stalactite and stalagmites. 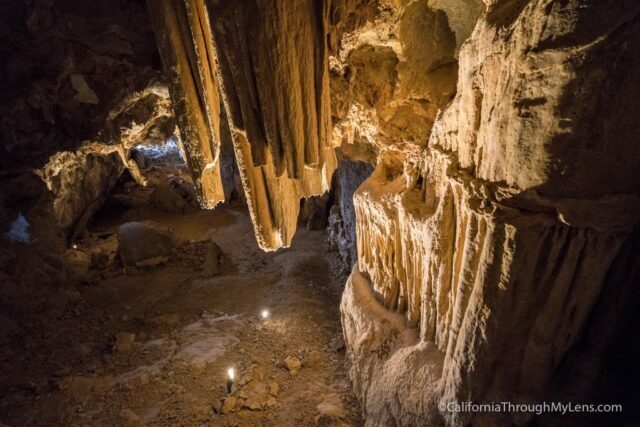 Only 1 in 4,000 caves have a connecting piece like this. 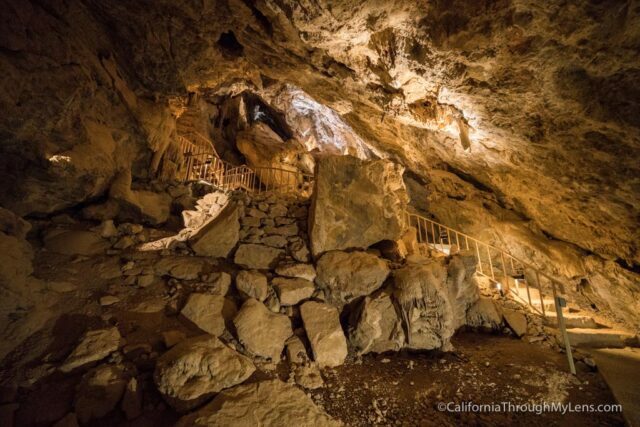 The cave has many rooms that you will get a chance to spend time in and learn more about. I was fascinated by how impressive this cave was to explore; it was much better then I expected. 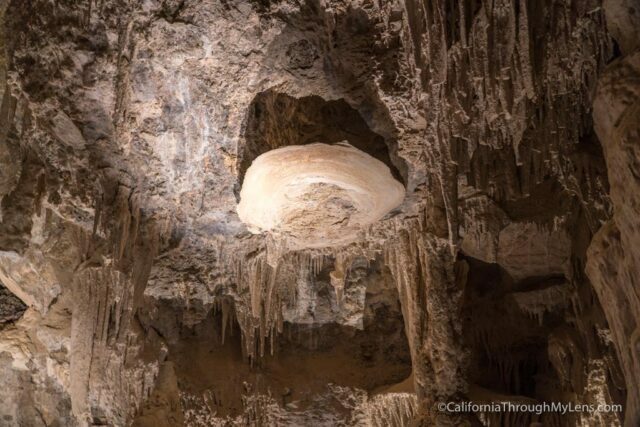 There are also formations called cave shields here, and they are only found in 60 caves in the USA. The tour goes up and down stairs, through small tunnels and into large rooms, it’s fantastic. 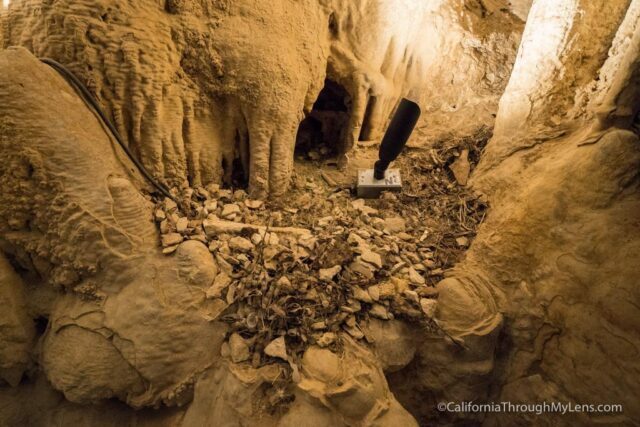 We also learned about some of the animal life in here including the packrat, you can see his nest in the below photo. The tour ended in the large room in the second part of the cave. This room was massive and let in some light, so it was easy to see without the man-added lights in the cave. 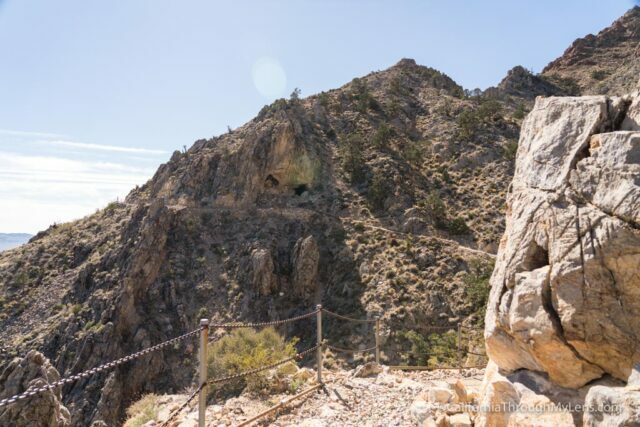 When you leave the cave, it is about a half mile back to where you parked, completing your time at Providence Mountains. 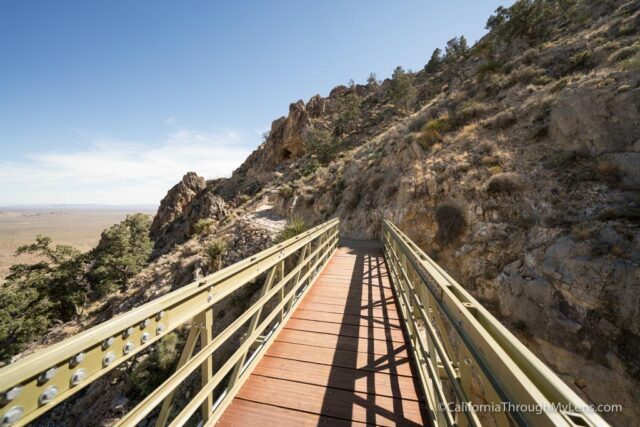 I loved my time at this park, I am so glad it is open again, and I hope others get a chance to explore this unique Southern California site. Let me know what you think if you go in the comments.